Welcome to my All-About-Me blogpost. As we hit July, we’re coming up close to my 1 year anniversary of joining the PitchWarrior-hopefuls-club! 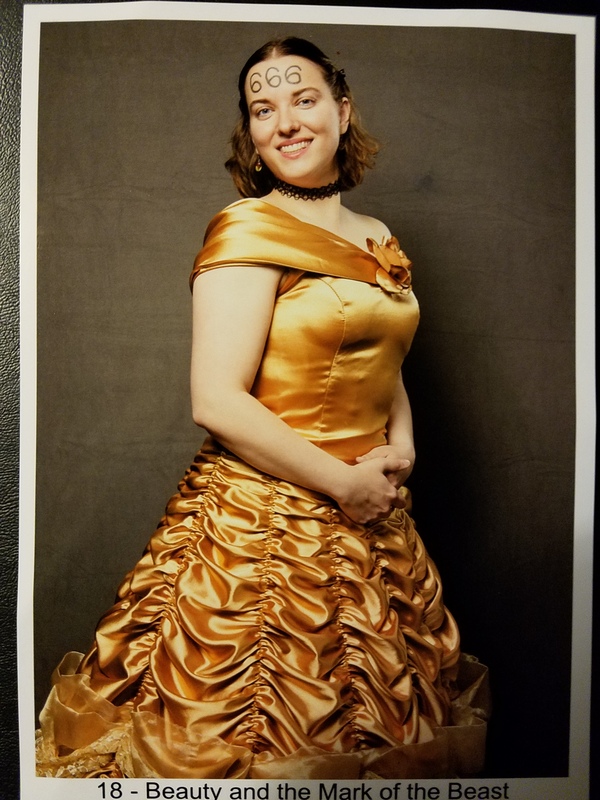 * Another round of PitchWars is almost upon us, so it’s time for me to tell update you about me and my current project. Since PitchWars seems partial to gifs, this is a gif-ier post than I usually do, but have at! I help run 2 facebook support groups for PitchWarriors past and present. I like to think I represent the writing extrovert (or at least, the writing ambivert). Both groups are active, friendly, and happy to help their fellow competitors/writers. ** It’s an amazing thing, being able to talk to people at the same stage in their writing careers. People who know the struggle of FINISHING a novel and REVISING it. People who have done their research about how to query, and have ended up alongside you on this journey. 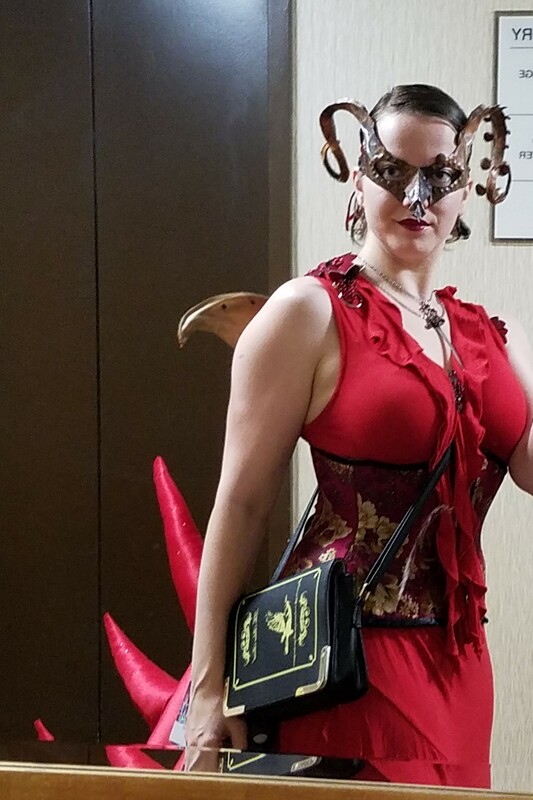 I’ve attended Balticon, DragonCon, InterventionCon, and the Steampunk World’s Fair, attending up to 20 hours of panels on writing, editing, and publishing per long weekend. Most of my notes end up in my blog. While at conventions, I’ve been known to cosplay. Especially bad puns. I also worked with the webcomic guests at the anime convention KatsuCon for 6 years, partially to feed my webcomic addiction. When I’m not doing something writing related, I lend my voice to the folktale podcast, Anansi Storytime. In my (hahaha! Imaginary) spare time, I like taking long Pokewalks, taking pictures of nature, and pretending I’m actually going to start going back to the gym again. I’m also a gamer (although, I’m down to 1 monthly D&D game). Oh, and of course I enjoy watching TV with my friends. Currently, we’re watching ‘Supernatural’ and ‘Grace and Frankie’. Recently watched were ‘Dirk Gently’s Holistic Detective Agency’, ‘Gilmore Girls’, and we’re a few season behind on ‘Lost Girl’ and ‘Once Upon A Time. I come from a family of Science Fiction and Fantasy readers. My dad’s heavily involved in fandom and is an aspiring writer himself. Meanwhile, my mother was a high school librarian for nearly 30 years and these days works on her massive to-read pile–when it’s not raid night #Alliance. One fun fact about me, I’m an identical twin. She’s not a writer, but she does help manage a local library! My current project is FLESH AND INK, a matriarchal mash-up between The Golden Compass and the movie Frozen, with a hint of Avatar. Lilyen loves her apprenticeship as a religious inker-of-flesh, even if it’s nothing compared to her little sister’s prestigious scholarship to the holy Domina’s Academy. But Lilyen’s years of training are jeopardized when her father spots her demon-stains—blue demonic letters that should only appear on those who’ve consorted with demons. If the church finds out, they’ll kill her and sentence her family to twenty years of hard service, destroying her sister’s future. Lilyen flees her home before risking anyone else, desperately following rumors of others like her—demon-stained exiles living in hiding. Lilyen’s unwavering faith in her Goddess. Even as her church/country hunts her, even as she learns about the church’s lies, even when she learns what they’ve been doing to her sister, she recognizes the fallible state of humanity. The world and the magic. How the elements correlate to each other and to the world. Finding ways to play with patriarchal norms that we don’t even notice. The way sexual orientation in my world isn’t either/or, it’s about the person. That, while my story includes love interest(s), they’re a side issue, not the drive of the story. P.S. Hufflepuff, because you can be clever, ambitious, and brave, but it’s best when you put people before ideals. * PitchWars is an annual contest, run by the amazing Brenda Drake, that takes authors who are polishing their novels for that all-important agent query, and pairs them with mentors! If selected, in 2 months, the mentees will completely revamp their novels, making it ready in time for the Agent Round, where real agents read their queries and first pages and potentially make offers! Last year, I was not selected, but I did find a wonderful group of supportive writers! ** Feel free to join, but send me or one of the other admins a note, especially if your account is private, so we can verify you aren’t a spam account! I need to read this! Best of luck! “That, while my story includes love interest(s), they’re a side issue, not the drive of the story.” I love this ❤ I’ve seen a lot of agents nowadays ask for manuscripts where romance is NOT the main plot, and I couldn’t agree more! Flesh and Ink sounds like a lot of fun 😀 Best of luck! Hey, Morgan! I recognize your Bookwyrm costume! We talked for a few minutes before one of the writing panels at Dragon*Con last year. I love the idea behind Flesh and Ink. Sounds like the kinda thing I’d pick up. Good luck! Yeah go Morgan! Your book sounds very intriguing, hope I get to read it someday. Neat cosplay pictures. Here’s to hoping Beauty and the Mark of the Beast gets turned into a horror story. Also A reminder to everyone to join the Pitchwarriors group wooo!